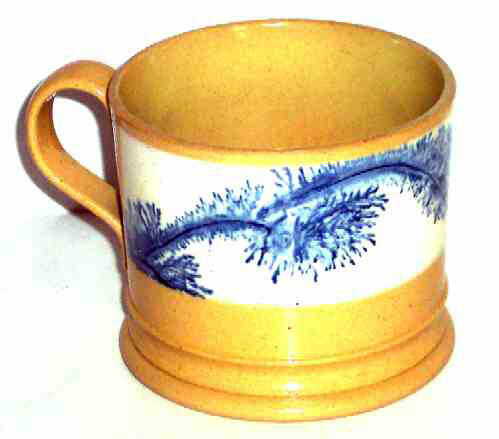 Presented here, an outstanding little Yellow Ware Mug with beautiful, bold blue dendritic decoration on a wide band of Bristol Slip. It reminds me a a feather or plume. Applied handle, shaped foot, 3-1/2" diameter x 3" tall. This mug is in mint condition in that great Dijon color that we love so well.